The molecular surfaces of several proteins showing their relative sizes. Left to right: Immunoglobin G (an antibody), hemoglobin (a transport protein), insulin (a hormone), adenylate kinase (an enzyme), and glutamine synthetase (an enzyme). Biochemistry (once known as physiological chemistry or biological chemistry) is the study of chemicals and chemical processes that occur in living organisms. It involves investigation of the structures, functions, and syntheses of biological substances, including proteins, DNA (deoxyribonucleic acid), RNA (ribonucleic acid), carbohydrates, lipids, nucleotides, and amino acids. Research in biochemistry has revealed the functions of groups of materials such as enzymes, hormones, vitamins, and minerals. It has led to detailed descriptions of cellular structures such as membranes and chromosomes, and the molecular processes involved in metabolism, genetics, energy production, membrane transport, and signal transduction. In addition, biochemistry has helped us understand nutritional and medical issues, greatly expanding the repertoire of treatments available for various diseases. Biochemists have been able to artificially produce a variety of substances found in living organisms, and they have shown that there is a continuity of both chemicals and chemical principles that operate in living and nonliving systems. However, the manner in which living organisms originated from nonliving matter remains a mystery. Given that Earth provides the habitat for all known life forms, this article focuses on terrestrial biochemistry, involving mainly compounds of carbon operating in water-containing environments. Although alternative biochemistries have been proposed, it is not known whether they are possible or practical. It was once thought that chemicals that originated in living organisms could be produced only with the assistance of a "vital force" (present in living tissue) and could not be artificially synthesized. 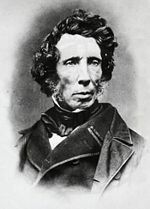 This concept, called vitalism, was falsified in 1828, when Friedrich Wöhler inadvertently obtained urea (a biological compound) while attempting to prepare ammonium cyanate in a laboratory reaction. In 1833, Anselme Payen became the first to discover an enzyme, diastase (today called amylase). This discovery was a major step that opened the way toward biochemical research. Later, in 1896, Eduard Buchner demonstrated that a complex biochemical process can be made to take place outside of a living cell: Alcoholic fermentation in cell extracts of yeast. Although the term “biochemistry” appears to have been mentioned first in 1882, it is generally accepted that the use of this term was formalized in 1903, by Carl Neuberg, a German chemist. Earlier, this field of science was referred to as physiological chemistry. Since then, tremendous advances have been made in biochemical research, especially since the mid-twentieth century, with the development of new techniques such as chromatography, X-ray diffraction, NMR spectroscopy, radioisotopic labeling, electron microscopy, and molecular dynamics simulations. These techniques have allowed for the discovery and detailed analysis of many biological molecules and metabolic pathways within cells, such as glycolysis and the Krebs cycle (citric acid cycle). A significant historic event in biochemistry was the discovery of the gene and its role in the transfer of information in the cell. 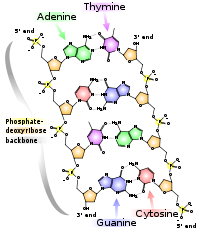 This area of biochemistry is often known as molecular biology. In the 1950s, James D. Watson, Francis Crick, Rosalind Franklin, and Maurice Wilkins were instrumental in solving the structure of DNA and suggesting its relationship with the genetic transfer of information. In 1958, George Beadle and Edward Tatum received the Nobel Prize for work with fungi, showing that an enzyme is produced from information stored in a gene. Their work suggested what was called the "one gene—one enzyme" hypothesis. Since then, it has been found that a gene is a segment of DNA (or sometimes several noncontiguous segments of DNA) that codes for a polypeptide or RNA molecule. More recently, Andrew Z. Fire and Craig C. Mello received the 2006 Nobel Prize for discovering the role of RNA interference (RNAi), in the silencing of gene expression. There are many different types of biomolecules, of various shapes and sizes, performing a variety of functions. The macromolecules found in living organisms are placed in four main classes: carbohydrates, lipids, proteins, and nucleic acids. These macromolecules are known as polymers (or biopolymers) and are made from building blocks (subunits) known as monomers. Each class of polymers is made from a different set of subunits. For example, a protein is a polymer built from a set of amino acids. The linking of two monomer molecules takes place through a process in which a water molecule is lost, so the reaction is called dehydration synthesis. A molecule of sucrose (glucose + fructose), a disaccharide. The functions of carbohydrates include energy storage and providing structure. Sugars form a subset of carbohydrates. There are more carbohydrates on Earth than any other known type of biomolecule. The simplest type of carbohydrate is a monosaccharide. Each monosaccharide molecule generally contains carbon, hydrogen, and oxygen, usually in a ratio of 1:2:1 (generalized formula CnH2nOn, where n is at least 3). Glucose, one of the most important carbohydrates, is an example of a monosaccharide. So is fructose, the sugar that gives fruits their sweet taste. Both glucose and fructose have the molecular formula C6H12O6, but their structures differ. Other examples of monosaccharides are ribose (C5H10O5) and deoxyribose (C5H10O4). Some carbohydrates (especially after condensation to oligo- and polysaccharides) contain less carbon relative to H and O, which still are present in 2:1 (H:O) ratio. Monosaccharides can be grouped into aldoses (having an aldehyde group at the end of the chain, for example, glucose) and ketoses (having a keto group in their chain; for example, fructose). Both aldoses and ketoses occur in an equilibrium between the open-chain forms and (starting with chain lengths of C4) cyclic forms. These are generated by bond formation between one of the hydroxyl groups of the sugar chain with the carbon of the aldehyde or keto group to form a hemiacetal bond. This leads to saturated five-membered (in furanoses) or six-membered (in pyranoses) heterocyclic rings containing one O as heteroatom. Sucrose: ordinary table sugar and probably the most familiar carbohydrate. When two monosaccharides are joined together by dehydration synthesis, the new molecule is called a disaccharide. The bond between the two monosaccharides is called a glycosidic or ether bond. The reverse reaction may also occur, in which a molecule of water splits up a disaccharide and breaks the glycosidic bond; this is termed hydrolysis. The most well-known disaccharide is sucrose, or ordinary sugar. In scientific contexts, it is called table sugar or cane sugar, to differentiate it from other sugars. Sucrose consists of a glucose molecule and a fructose molecule joined together. Another important disaccharide is lactose, consisting of a glucose molecule and a galactose molecule. As humans age, the production of lactase, the enzyme that hydrolyzes lactose back into glucose and galactose, typically decreases. This results in lactase deficiency, also called lactose intolerance. Cellulose as polymer of β-D-glucose. When a small number of monosaccharides (around three to six) are joined together, the product is called an oligosaccharide (oligo- means "few"). These molecules tend to be used as markers and signals, besides other uses. Many monosaccharides joined together make a polysaccharide. They can be joined together in one long linear chain, or they may be branched. Two of the most common polysaccharides are cellulose and glycogen, both consisting of repeating glucose monomers. Cellulose is made by plants and is an important structural component of their cell walls. Humans can neither manufacture nor digest it. Glycogen, on the other hand, is an animal carbohydrate. Humans and animals use it as a form of energy storage. The breakdown of carbohydrates (as well as fats) is a process that leads to energy production in most life forms. For instance, polysaccharides (like glycogen) and disaccharides (like lactose or sucrose) are broken down into their constituent monosaccharides. (The enzyme glycogen phosphorylase removes glucose residues from glycogen.) The glucose produced in this manner is further broken down, liberating energy that is captured in the form of an energy-rich compound known as adenosine triphosphate (ATP). Under anaerobic conditions, (that is, in the absence of oxygen), some living things produce ATP during the partial degradation of glucose to an alcohol or acid. Under aerobic conditions, (that is, in the presence of oxygen), various organisms produce ATP when degrading glucose to carbon dioxide and water. The latter process is called oxidative phosphorylation. A schematic of hemoglobin. 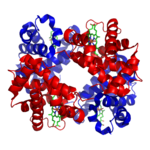 The red and blue ribbons represent the protein globin; the green structures are the heme groups. The general structure of an α-amino acid, with the amino group on the left and the carboxyl group on the right. Generic amino acids (1) in neutral form, (2) as they exist physiologically, and (3) joined together as a dipeptide. In essence, proteins are chains of monomers known as amino acids. An amino acid consists of a carbon atom bound to four groups. One is an amino group, -NH2, and one is a carboxylic acid group, -COOH (although they exist as -NH3+ and -COO− under physiologic conditions). The third is a simple hydrogen atom. The fourth is commonly denoted "—R" and is different for each amino acid. There are 20 standard amino acids. Some of them have functions by themselves or in a modified form; for instance, glutamate functions as an important neurotransmitter. Amino acids can be joined together via a peptide bond. In this dehydration synthesis, a water molecule is removed and the peptide bond connects the nitrogen of one amino acid's amino group to the carbon of the other's carboxylic acid group. The resulting molecule is called a dipeptide, and short stretches of amino acids (usually, fewer than around thirty) are called peptides or polypeptides. A protein is composed of one or more polypeptide chains and has a certain function. For example, the important blood serum protein albumin contains 585 amino acid residues. The structure of proteins is traditionally described in a hierarchy of four levels. The primary structure of a protein simply consists of its linear sequence of amino acids; for instance, "alanine-glycine-tryptophan-serine-glutamate-asparagine-glycine-lysine-…." Secondary structure is concerned with local morphology. Some combinations of amino acids will tend to curl up in a coil called an α-helix or into a sheet called a β-sheet; some α-helixes can be seen in the hemoglobin schematic above. Tertiary structure is the entire three-dimensional shape of the protein. This shape is determined by the sequence of amino acids. In fact, a single change can change the entire structure. The alpha chain of hemoglobin contains 146 amino acid residues; substitution of the glutamate residue at position 6 with a valine residue changes the behavior of hemoglobin so much that it results in sickle-cell disease. Finally, quaternary structure is concerned with the structure of a protein with multiple peptide subunits, like hemoglobin with its four subunits. Not all proteins have more than one subunit. Ingested proteins are usually broken up into single amino acids or dipeptides in the small intestine, and then absorbed. They can then be joined together to make new proteins. Intermediate products of glycolysis, the citric acid cycle, and the pentose phosphate pathway can be used to make all twenty amino acids, and most bacteria and plants possess all the necessary enzymes to synthesize them. Humans and other mammals, however, can only synthesize half of them. They cannot synthesize isoleucine, leucine, lysine, methionine, phenylalanine, threonine, tryptophan, and valine. These are the essential amino acids, since it is essential to ingest them. Mammals do possess the enzymes to synthesize alanine, asparagine, aspartate, cysteine, glutamate, glutamine, glycine, proline, serine, and tyrosine, the nonessential amino acids. While they can synthesize arginine and histidine, they cannot produce it in sufficient amounts for young, growing animals, and so these are often considered essential amino acids. If the amino group is removed from an amino acid, it leaves behind a carbon skeleton called an α-keto acid. Enzymes called transaminases can easily transfer the amino group from one amino acid (making it an α-keto acid) to another α-keto acid (making it an amino acid). This is important in the biosynthesis of amino acids, as for many of the pathways, intermediates from other biochemical pathways are converted to the α-keto acid skeleton, and then an amino group is added, often via transamination. The amino acids may then be linked together to make a protein. A similar process is used to break down proteins. It is first hydrolyzed into its component amino acids. Free ammonia (NH3), existing as the ammonium ion (NH4+) in blood, is toxic to life forms. A suitable method for excreting it must therefore exist. Different strategies have been observed in different animals, depending on the animals' needs. Unicellular organisms, of course, simply release the ammonia into the environment. Similarly, bony fish can release the ammonia into the water where it is quickly diluted. In general, mammals convert the ammonia into urea, via the urea cycle. Like carbohydrates, some proteins perform largely structural roles. For instance, movements of the proteins actin and myosin ultimately are responsible for the contraction of skeletal muscle. One property many proteins have is that they specifically bind to a certain molecule or class of molecules—they may be extremely selective in what they bind. Antibodies are an example of proteins that attach to one specific type of molecule. In fact, the enzyme-linked immunosorbent assay (ELISA), which uses antibodies, is currently one of the most sensitive tests modern medicine uses to detect various biomolecules. One group of extremely important proteins are known as enzymes. The molecules of enzymes recognize specific reactant molecules called substrates, and they then catalyze the reaction between them. By lowering the activation energy, the enzyme speeds up that reaction by a rate of 1011 or more: A reaction that would normally take over 3,000 years to complete spontaneously might take less than a second with an enzyme. The enzyme itself is not used up in the process, and is free to catalyze the same reaction with a new set of substrates. Using various modifiers, the activity of the enzyme can be regulated, enabling control of the biochemistry of the cell as a whole. A triglyceride with a glycerol molecule on the left and three fatty acids attached to it. The term lipid comprises a diverse range of molecules and to some extent is a catchall for relatively water-insoluble or nonpolar compounds of biological origin. They include waxes, fatty acids, fatty-acid derived phospholipids, sphingolipids, glycolipids, and terpenoids (such as retinoids and steroids). Some lipids are linear aliphatic molecules, while others have ring structures. Some are aromatic, but others are not. Some are flexible, others are rigid. Most lipids have some polar character in addition to being largely nonpolar. Generally, the bulk of their structure is nonpolar or hydrophobic ("water-fearing"), meaning that it does not interact well with polar solvents like water. Another part of their structure is polar or hydrophilic ("water-loving") and will tend to associate with polar solvents like water. This makes them amphiphilic molecules (having both hydrophobic and hydrophilic portions). In the case of cholesterol, the polar group is a mere -OH (hydroxyl or alcohol). In the case of phospholipids, the polar groups are considerably larger and more polar. Lipids are an integral part of our daily diet. Most oils and milk products that are used for cooking and eating, such as butter and cheese, are comprised of fats. Many lipids are made up of a molecule of glycerol linked to fatty acids. The fatty acids may be saturated or unsaturated. Thus, when foods containing such lipids undergo digestion within the body, they are broken into fatty acids and glycerol. Some lipids, especially phospholipids, are used in different pharmaceutical products, either as co-solubilizers (as in parenteral infusions) or as drug carrier components (as in a liposome or transfersome). The structure of deoxyribonucleic acid (DNA), as the monomers are being put together. Nucleic acids are found in all living cells and viruses. The most common nucleic acids are deoxyribonucleic acid (DNA) and ribonucleic acid (RNA). Their monomers are called nucleotides. Each nucleotide consists of three components: A nitrogenous heterocyclic base (either a purine or a pyrimidine), a pentose sugar, and a phosphate group. The sugar in an RNA chain is called ribose, that in a DNA chain is called 2-deoxyribose. Each nucleic acid generally contains four main types of nitrogenous bases. Both DNA and RNA contain the bases known as adenine, cytosine, and guanine. In addition, DNA contains the base thymine, whereas RNA contains the base uracil. Some RNA molecules (particularly in the class known as transfer RNAs) also contain a variety of unusual bases. Each nucleic acid has at least one backbone chain, formed from alternating sugar and phosphate subunits. A nitrogenous base is attached to each sugar. A DNA molecule generally has two such chains that are paired by bonding between "complementary" bases: Adenine normally bonds with thymine, guanine, with cytosine. An RNA molecule may be folded in such a way that adenine pairs with uracil, and guanine pairs with cytosine. Nucleic acids (especially DNA) perform the vital function of storing and conveying genetic information. One class of RNA molecules, known as messenger RNAs, pick up genetic information from DNA and serve as templates from which proteins are synthesized. Other classes of RNA molecules, such as transfer RNA, ribosomal RNA, and small nuclear RNA, perform other functions. The nucleotide adenosine triphosphate is the primary energy-carrier molecule found in all living organisms. 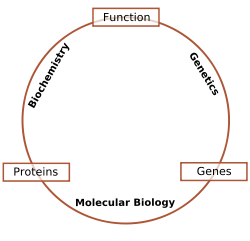 Schematic relationship between biochemistry, genetics and molecular biology. Genetics is the study of the effect of genetic differences on organisms. Often this can be inferred by the absence of a normal component (for example, one gene). The study of "mutants" – organisms which lack one or more functional components with respect to the so-called "wild type" or normal phenotype. Genetic interactions (epistasis) can often confound simple interpretations of such "knock-out" studies. Molecular biology is the study of molecular underpinnings of the process of replication, transcription and translation of the genetic material. The central dogma of molecular biology where genetic material is transcribed into RNA and then translated into protein, despite being an oversimplified picture of molecular biology, still provides a good starting point for understanding the field. This picture, however, is undergoing revision in light of emerging novel roles for RNA. Chemical Biology seeks to develop new tools based on small molecules that allow minimal perturbation of biological systems while providing detailed information about their function. Further, chemical biology employs biological systems to create non-natural hybrids between biomolecules and synthetic devices (for example, emptied viral capsids that can deliver gene therapy or drug molecules). ↑ F. Wöhler, Ueber künstliche Bildung des Harnstoffs. Ann. Phys. Chem. 12:253–256. Berg, Jeremy Mark, John L. Tymoczko, and Lubert Stryer. 2007. Biochemistry, 6th edition. New York: W. H. Freeman. ISBN 978-0716787242. Bettelheim, Frederick A., William Henry Brown, Mary K. Campbell, and Shawn O. Farrell. 2007. Introduction to General, Organic, and Biochemistry, 8th edition. Belmont, CA: Thomson Brooks/Cole. ISBN 978-0495011972. Campbell, Mary K., and Shawn O. Farrell. 2009. Biochemistry, 6th edition. Belmont, CA: Thomson-Brooks/Cole. ISBN 978-0495390411. Horton, Robert, et al. 2006. Principles of Biochemistry, 4th edition. Upper Saddle River, NJ: Pearson Prentice Hall. ISBN 978-0131453067. Hunter, Graeme K. 2008. Vital Forces: The Discovery of the Molecular Basis of Life. San Diego: Academic Press. ISBN 012361810X. Nelson, David L., and Michael M. Cox. 2008. Lehninger Principles of Biochemistry, 5th edition. New York: W.H. Freeman. ISBN 978-0716771081. All links retrieved June 9, 2016. J.M. Berg, J.L. Tymoczko, and L. Stryer. 2002. Biochemistry. 5th ed. New York: W.H. Freeman. ISBN 0716798050. (Full contents of book.) National Center for Biotechnology Information (NCBI). The Protein Zone. (New books in protein science.) Springer. This page was last modified on 9 June 2016, at 14:22.